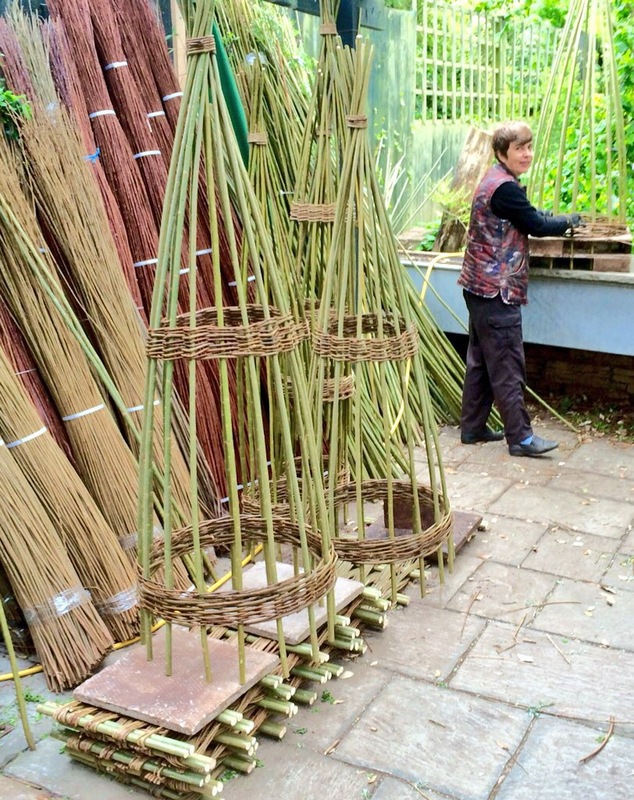 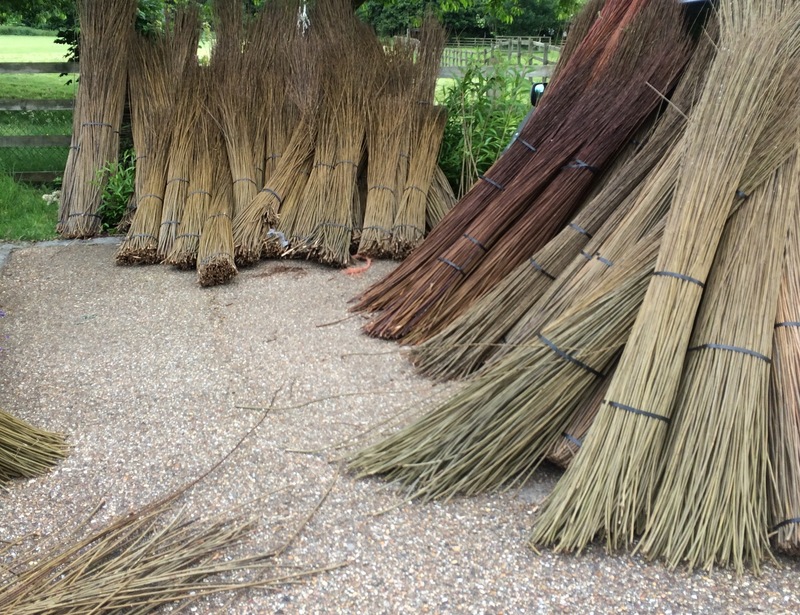 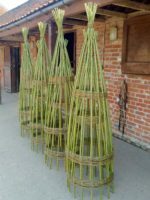 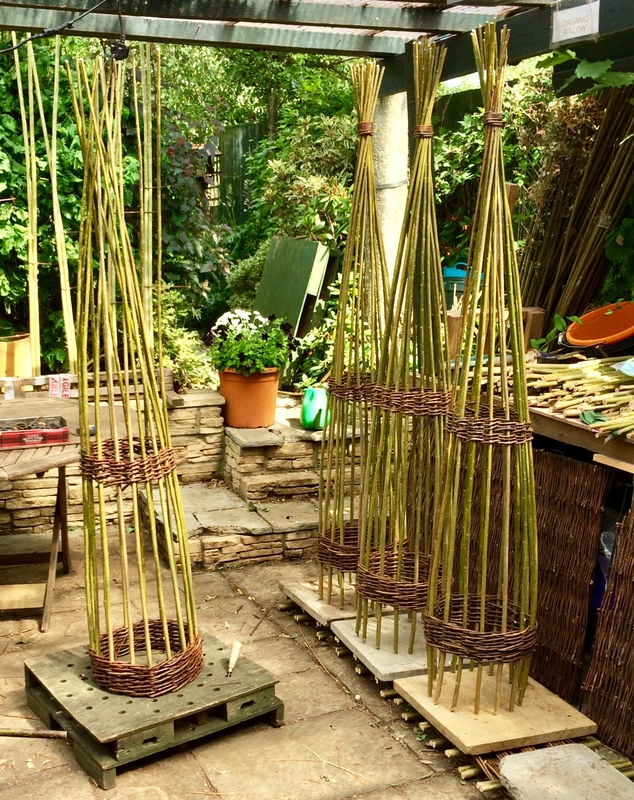 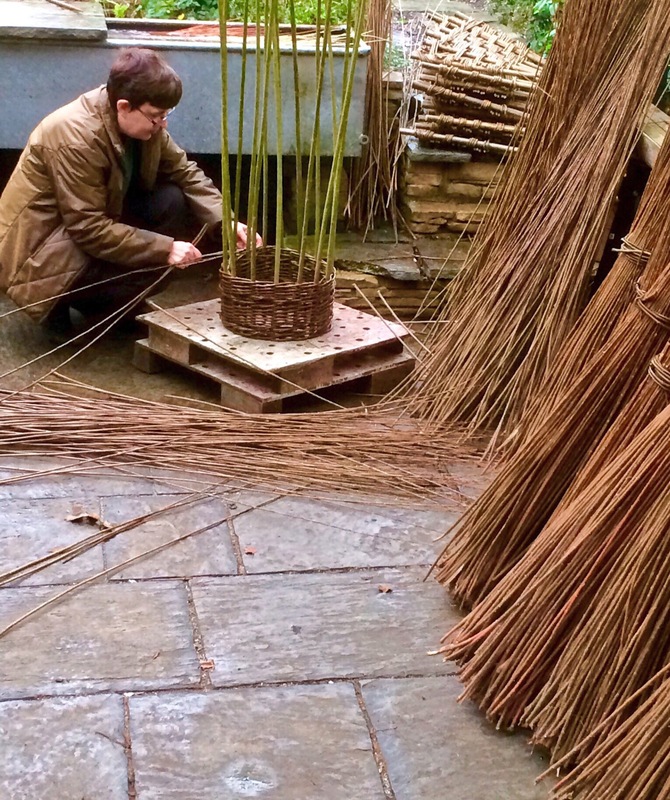 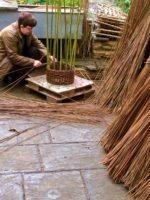 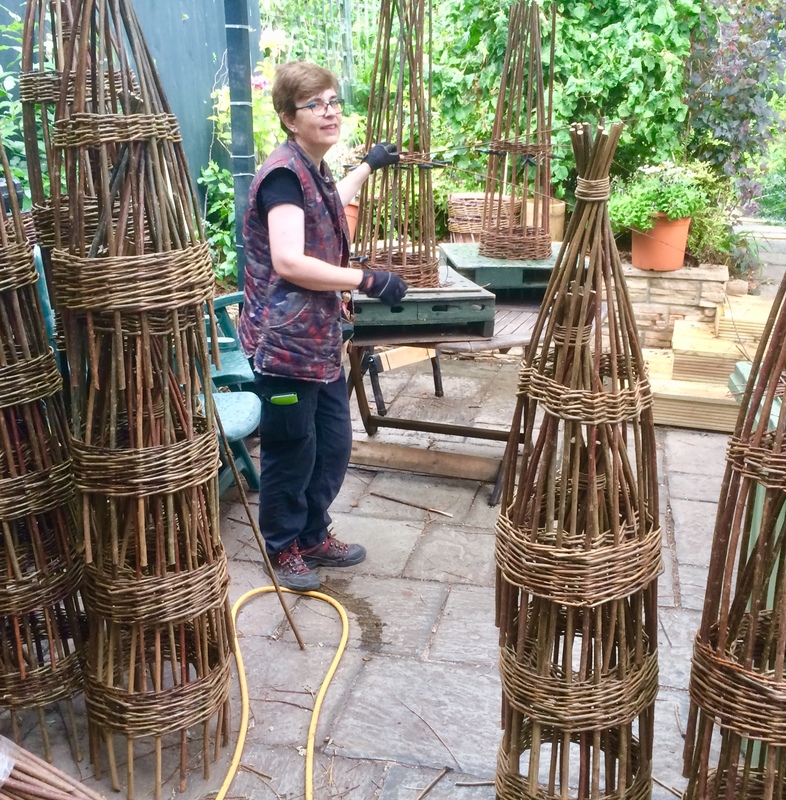 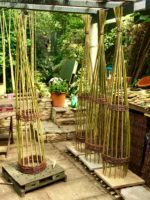 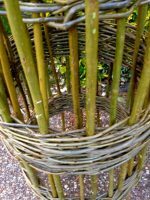 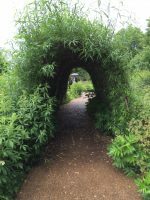 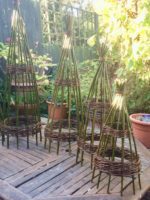 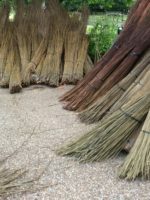 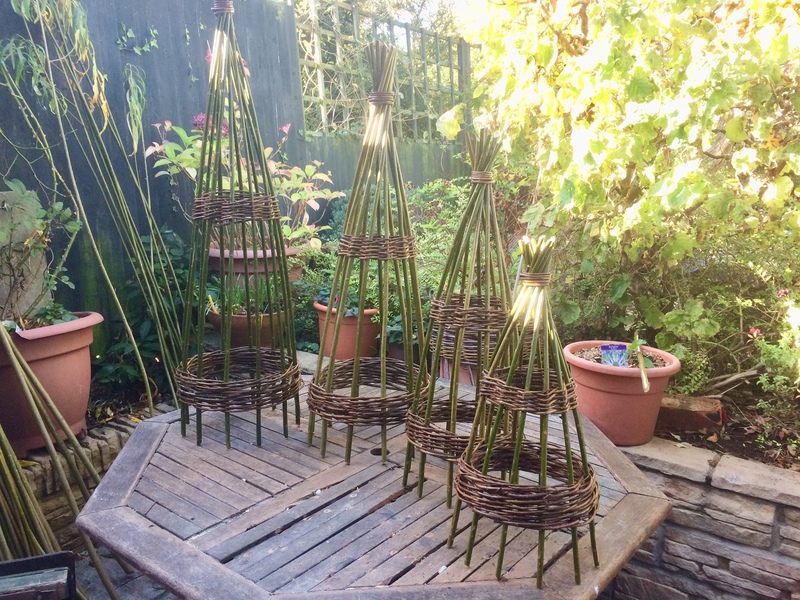 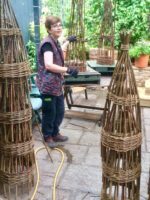 Woven willow obelisks handmade by ourselves here in our workshop in original Milton Keynes Village using materials harvested from our copse in the heart of the Buckinghamshire countryside. 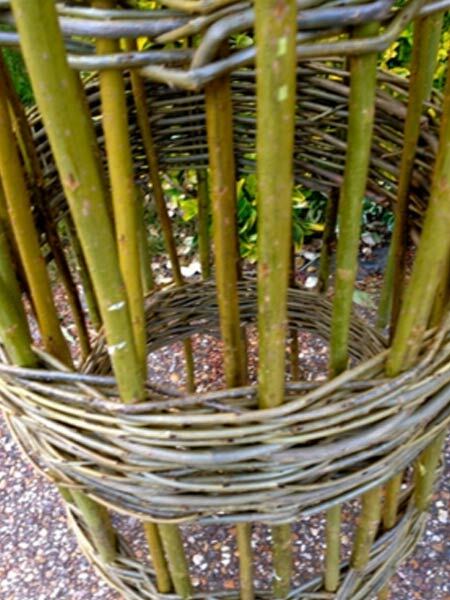 Ideal to provide support for long-stemmed or climbing plants they can be used to create impact and structure in borders or containers. 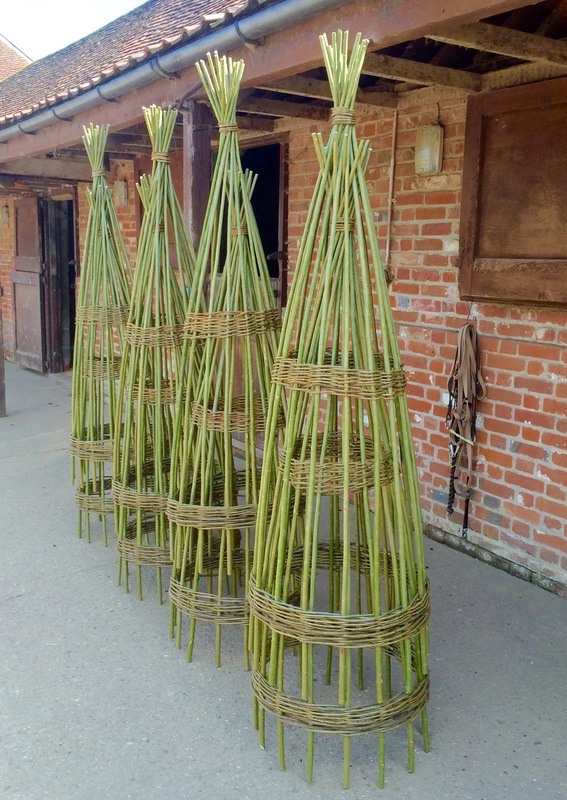 Available from 0.8m to 2.8m tall 25cm -100cm+ diameter at the base please email for more details. 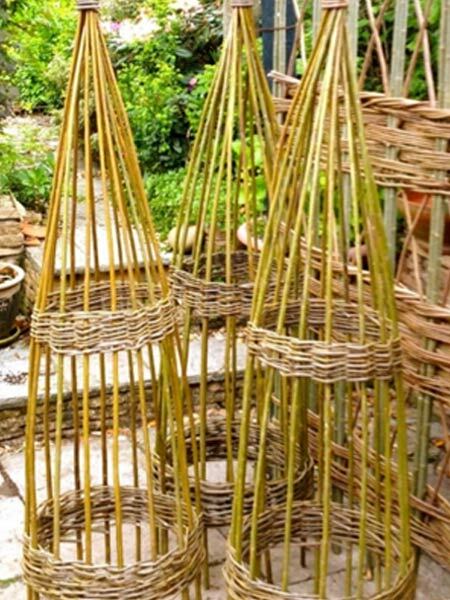 Very large obelisks available however due to transport costs we wil build them on site for you if required..